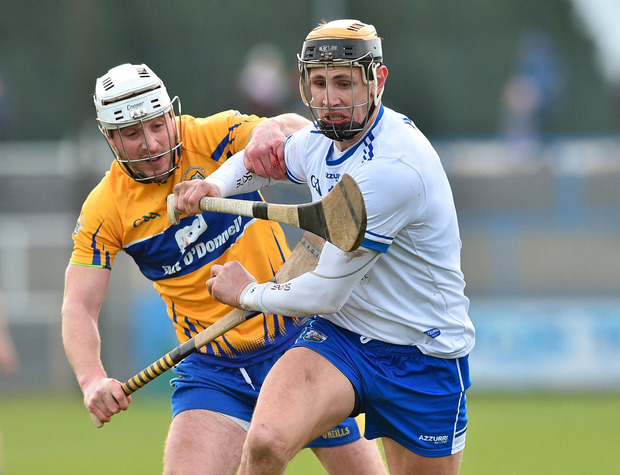 Paraic Fanning was left purring after a devastating second-half masterclass eased Waterford into a League semi-final against Galway this weekend. Trailing by only two points at half-time, having played against the wind at Walsh Park, the hosts revelled in the conditions to outscore a lacklustre Clare by 0-20 to 0-4. They were led by full-forward Stephen Bennett, whose 11-point haul on the turnover took his overall tally to 16. 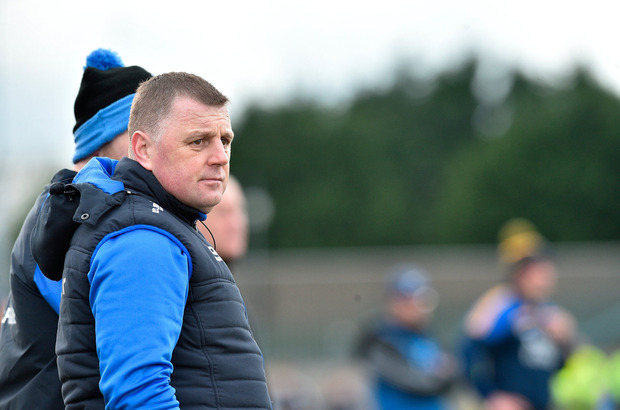 The roaming Austin Gleeson and Pauric Mahony chalked up five points apiece as a ruthless Waterford took 31 of their 34 scoring chances in another hugely pleasing performance for new manager Fanning. "We were delighted to get the win. I don't know, everyone talks about this freedom but we're making good decisions." Walsh Park's redeployment as a championship home venue also came into sharp focus on Saturday as this was essentially a dry run for these sides' Munster opener in eight weeks time, not that Fanning was reading too much into Saturday's surprisingly one-sided outcome. "We play to win but if we lost the game today or won it, it wasn't going to change my view that it's not going to have a big impact either way on the Munster Championship." Clare joint-manager Donal Moloney admitted his side had a second half to forget as along with their heaviest defeat of the season, Conor Cleary and Peter Duggan were dismissed, while midfielders Colm Galvin (hand) and Shane Golden (hamstring) picked up injuries. "We were off the pace," said Moloney. "We could point to a lot of things but we were probably not at the level we needed to be." 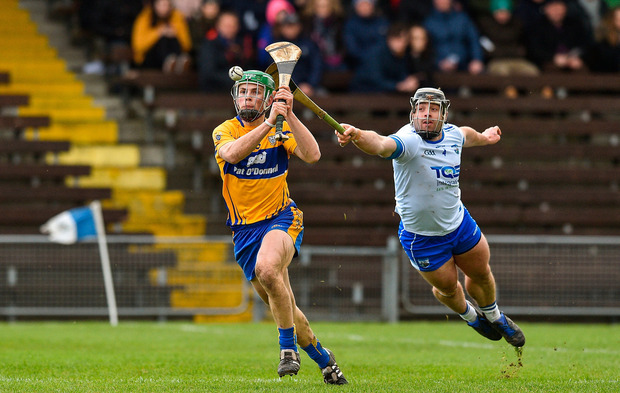 Waterford put themselves into the driving seat in the opening half when matching wind-assisted Clare all the way to only be 1-10 to 0-11 in arrears by the break. Peter Duggan's penalty in the 15th minute, earned by Gary Cooney, put the Banner five clear but they were unable to sustain that momentum despite a glorious goal chance for Cooney that hit the side-netting. Bennett's frees kept the home side within striking distance ahead of a clinical second half display that now tees up a rematch for Fanning's side against Galway in the last four. SCORERS - Waterford: Stephen Bennett 0-16 (14fs), Pauric Mahony, A Gleeson 0-5 each, P Hogan 0-2, C Roche, Shane Bennett (s/l), S McNulty 0-1 each. Clare: P Duggan 1-7 (1-0 pen, 6fs, 1/sl); T Kelly 0-3; C Malone 0-2; A Shanagher, A McCarthy 0-1 each. WATERFORD - S O'Keeffe 7; Philip Mahony 7, C Lyons 7, N Connors 7; C Roche 7, K Moran 8, S McNulty 7; J Barron 7, J Prendergast 7; A Gleeson 8, M Kearney 7, Pauric Mahony 8; P Hogan 7, Stephen Bennett 9, Shane Bennett 7. Subs: C Dunford 6 for Prendergast (57), M Shanahan 6 for Kearney (60), S Roche for Barron (67), DJ Foran for Shane Bennett (67), M Walsh for Gleeson (69). CLARE - D Tuohy 6; J Browne 6, D McInerney 7, P O'Connor 6; C Malone 7, C Cleary 7, S Morey 6; S Golden 6, C Galvin 6; P Duggan 7, T Kelly 7, A McCarthy 7; G Cooney 7, A Shanagher 6, P Collins 5. Subs: R Taylor for Golden (HT), D Fitzgerald for Morey (45), D Ryan for Galvin (52), C Guilfoyle for Shanagher (55), J McCarthy for Collins (59). REF - S Cleere (Kilkenny).